Giving Voice through Art: National Hispanic Heritage Month – ¡Murales Rebeldes! Various Artists, Siqueiros: La Voz de la Gente!, Los Angeles, 2012. 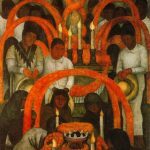 Courtesy of the Siqueiros Foundation of the Arts. 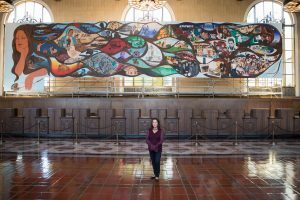 Today, as this year’s annual National Hispanic Heritage Month ends, we pay tribute to the artistic contributions of Hispanic muralists whose work celebrates not only their artistic vision but also public art, community, history and cultural tradition, story-telling, and political and social equality. Four years ago in Los Angeles, in recognition of the 2012 Latino/Hispanic Heritage Month, a group of muralists decided to create an homage to the iconic Mexican muralist David Alfaro Siqueiros. With a focus on community, the team—Juan Carlos Munoz Hernandez, Raul Gonzalez, Anna Siqueiros, Willie Herrón, and Ernesto de la Loza—assembled over 30 artists to collaborate on the mural’s production. The mural, La Voz de la Gente! La Resurreción de Cuauhtémoc en las Americas: Homenaje a David Alfaro Siqueiros, honors one of Mexico’s great muralists, David Alfaro Siqueiros. His call to create street art “on the most visible sides of high modern buildings, in the most strategic places in ‘callejones’ in working-class districts, in Union Halls, in public squares, in sports stadia, in open-air theaters,” is lettered in to the 16 x 50-foot mural located in an alley behind 2631½ Cullen Street in Culver City. La Voz de la Gente! was also reaction to Los Angeles’s Mural Moratorium (2002–2013), which, with its bureaucratic regulations, effectively prohibited the production of new murals and graffiti. Yet, the moratorium was and is not the only source of muting, disrespecting, and rejecting the voices of Los Angeles’ Hispanic muralists and graffiti artists. 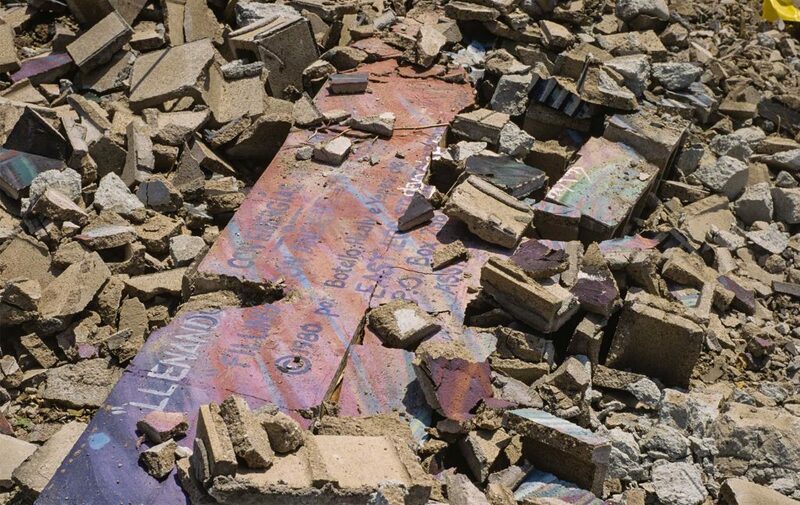 Remains of the East Los Streetscapers’ mural Filling Up on Ancient Energies (1981), and the wall on which it was painted, clutter 4th and Soto Streets in Boyle Heights, Los Angeles, on May 24, 1988. 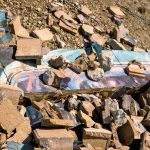 The mural was destroyed without notifying the artists. Courtesy of David Botello, Wayne Healy, and George Yepes; photo: David Botello. 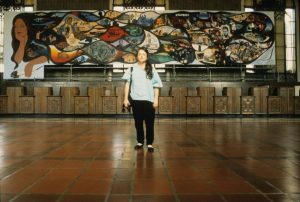 Ushering in the 2017 National Hispanic Heritage Month on September 4 and continuing until January 2018, the California Historical Society and LA Plaza de Cultura y Artes will launch an exhibition devoted to this topic. ¡Murales Rebeldes! 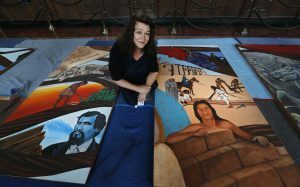 L.A. Chicana/o Murals under Siege will look at the way in which Chicana/o murals in the greater Los Angeles area have been contested, challenged, censored, and even destroyed. This exhibition and its companion publication of the same name are part of the Getty’s Pacific Standard Time: LA/LA. ¡Murales Rebeldes! will examine the iconography, content, and artistic strategies of key Los Angeles-area Chicana/o murals that have made others uncomfortable to the point of provoking a contrary response, delving into the murals’ complicated creation and subsequent disturbing history of denial. 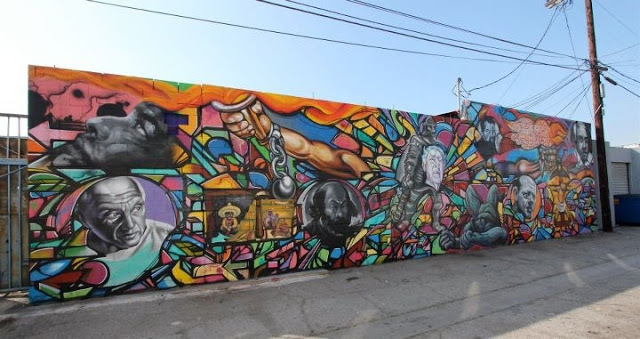 Artists Willie Herrón III and Ernesto de la Loza—among the co-muralists of La Voz de la Gente!—are featured with muralists Barbara Carrasco, Yriena D. Cervántez and Alma López, Roberto Chávez, Sergio O’Cadiz Moctezuma, and East Los Streetscapers in this compelling, critical examination.